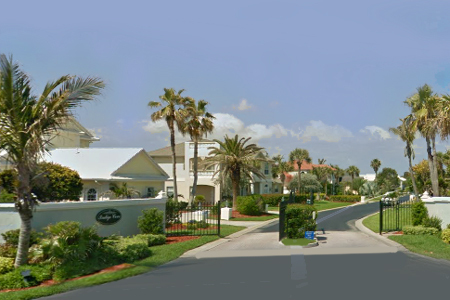 Indigo Cove in Melbourne Beach is an exclusive gated community featuring 12 executive homes on oversized lots. 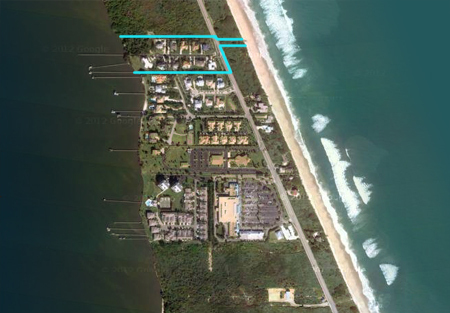 This small cul de sac neighborhood features deeded beach access and a community fishing pier. 0.4 miles north of Driftwood Plaza (Publix). Indigo Cove of Melbourne Beach is located in the upper south beaches. Enter from Highway A1A via gated Indigo Cove Place. 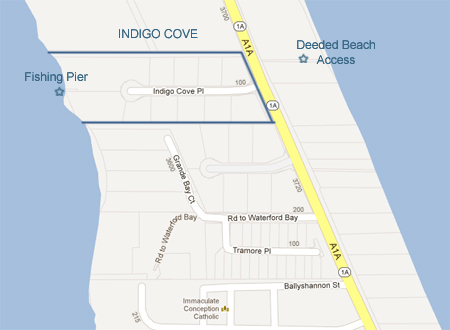 Beaches: Indigo Cove features a dedicated beach access just to the north of the community entrance.